Simon and Luke have noticed that Maia is missing and they go to visit the Seelie Queen (well first they visit Magnus who is all “excuse me, valentine, genocide, et al. Priorities”) who they have randomly decided is responsible (accurately but hey, Valentine is running around but you assume the Queen is at fault). She lets slip she made a deal with Valentine to get him out of the city and Simon and Luke pretty much spend the rest of the episode playing in the Seelie realm looking for Maia. This would be the magical fae realm of Plotboxia! The Shadowhunters - well, Izzy, Clary, Alec and Jace since the rest of the Shadowhunters only exist in crowd scenes in the Institute. They fight the big demon which splits into a gazillion little demons which all run and hide. This is when Clary gets the news from Luke that Valentine has fled the city. They can’t take down the warlock ward against angel blood because it will let the demons out. They also decide people need to go to Idris to protect the lake from Valentine’s shenanigans. Yes there’s an army of Shadowhunters there but they’re ALL CIRCLE MEMBERS. Seriously like half the Clave is a circle member. 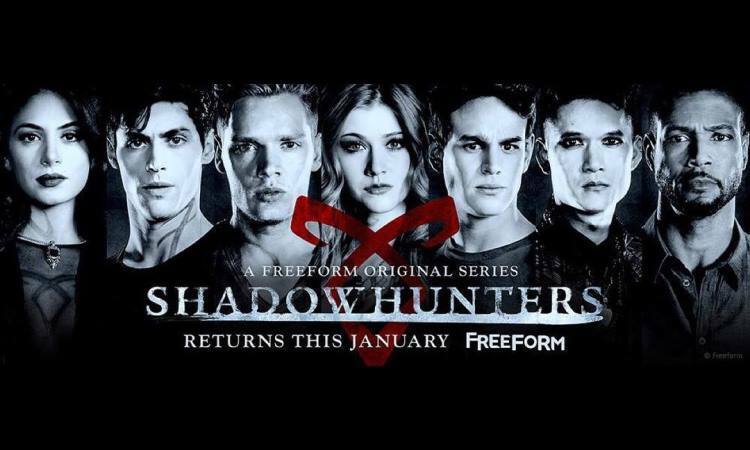 Of course Clary and Jace go. Of course they do. And I honestly expected better CGI. This is your angel, Shadowhunters do better! Valentine announces he wants all demons dead. And all Downworlders. And all nephilim who don’t support him (all 6 of them). Who wrote this rule? Why did they turn an angel into a 1 wish genie? Clary breaks free and she and Valentine go at it, while Raziel watches like it’s pay for view. Despite him being the better fighter she manages to surprise him with a knife and yay Valentine is FINALLY dead. At long bloody last. I don’t know whether to celebrate it or be petty because Clary got the kill. That leaves Clary there with the angel and a chance to make a wish. World peace! End to world hunger! End to disease! Renewing Sens8! Nope, she resurrects Jace. Of course she does. Damn it Raziel, look at what you’re unleashing on the world! Luke is hugging people because whyyyyy?! We do have a fair few POC on this show - including some in minor roles, background roles and who have been passed on - like Melion, Victor Aldetree, Cleophas and background shadowhunters, warlocks, werewolves etc. There is a definite inclusion of POC in many scenes; it’s certainly not glaringly white. As to Magnus and Alec and the LGBTQ inclusion - y’know I think I’d be a lot happier with this if it weren’t for the trainwreck of last season and if it weren’t for the show creators, fandom et al all being so damn obsessive about this and building it into a huge great thing it isn’t. I mean, i still have problems, since everything I’ve said about Magnus above still applies. His role is servile. And while Alec isn’t being demonised as enemy of Clary now (because he’s onside which isn’t exactly a plus), his role as “leader” seems to mean less decision making and more Jace and Clary not having to bother with authority figures when they run around doing whatever they want. But still, I’ve seen far worse: what is annoying is the hype over this… nothing. Magnus and Alec spend next to no time together, the time they do spend has a surprising amount of space between them and generally keeps contact brief. They’re supposed to have this epic relationship but we never see this developed, we just see them appear with the presumption this relationship is happening. The only time we actually get hints of this is when forces are driving them apart OVER AND OVER AGAIN.